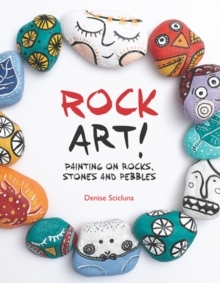 Denise Scicluna shows techniques for painting eccentric art on rocks! You can create Scottish terriers, goldfish, monsters, houses, hearts, happy faces, geometrics, abstracts, horses, bugs, beetles, plaids, daisies, apples, bananas, moons, ferns, fairies, mushrooms, stripes, stars, Autumn leaves, undersea creatures, feathers, cats, cacti, skyscrapers, sad faces, starships, alphabet letters, ladybirds, mandalas, hot-air balloons, birds, bees, butterflies, pumpkins, poodles, peapods, shoes, ships...the list goes on! 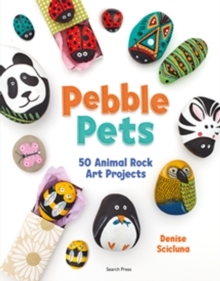 Get creative and use your rock painting art in a variety of crafty projects.